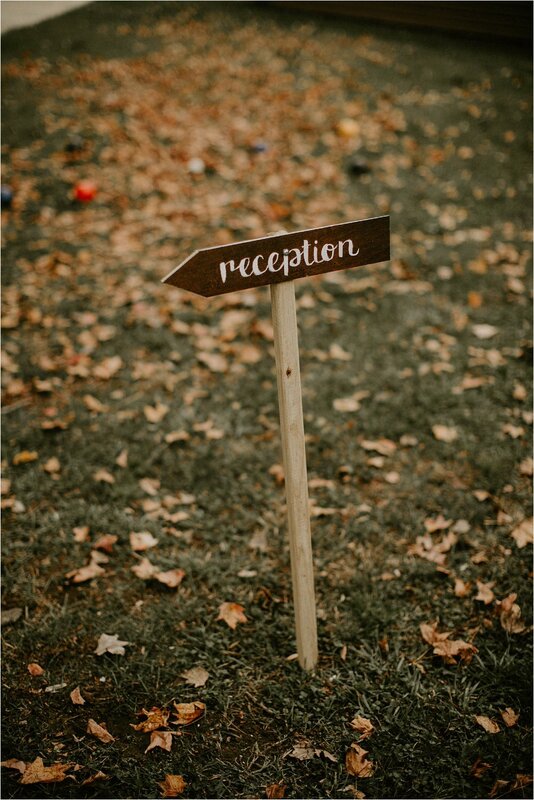 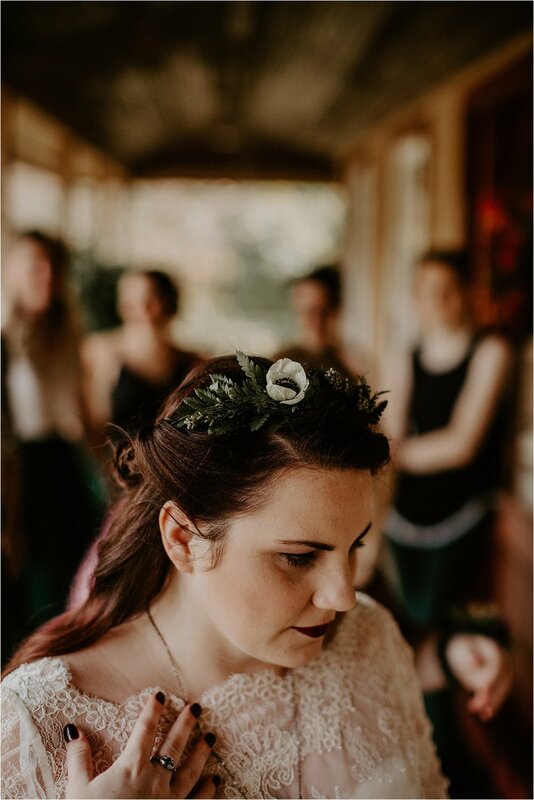 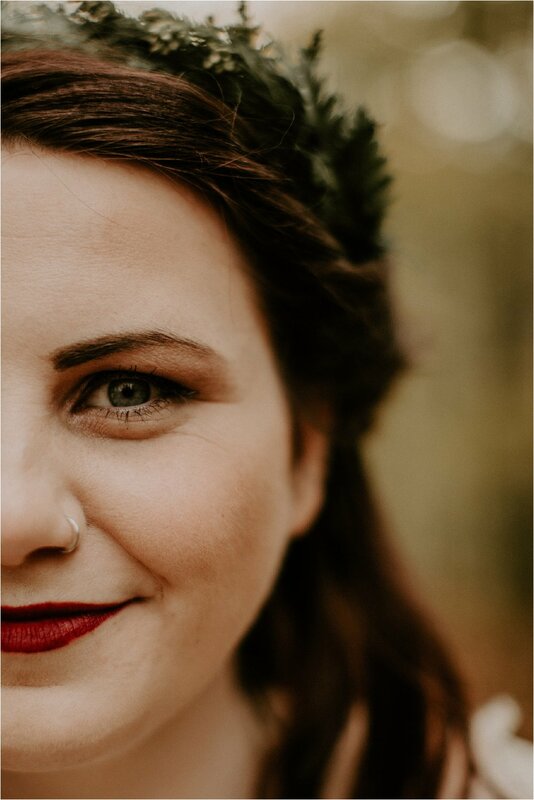 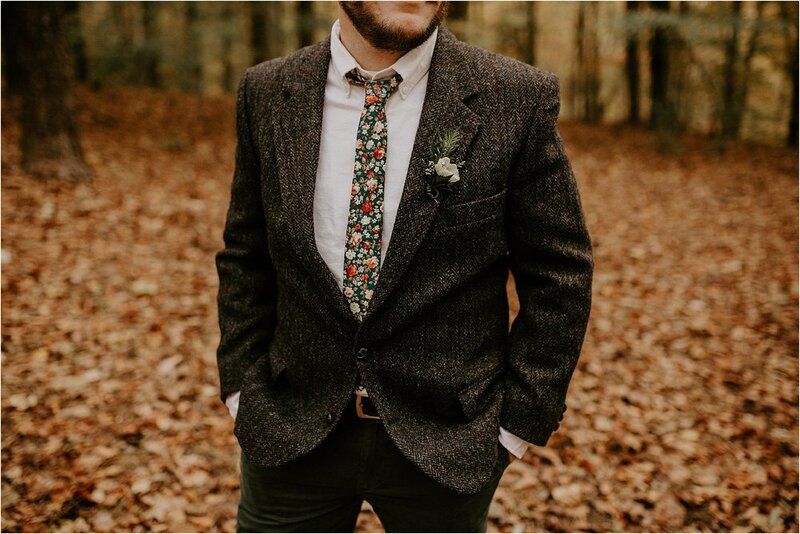 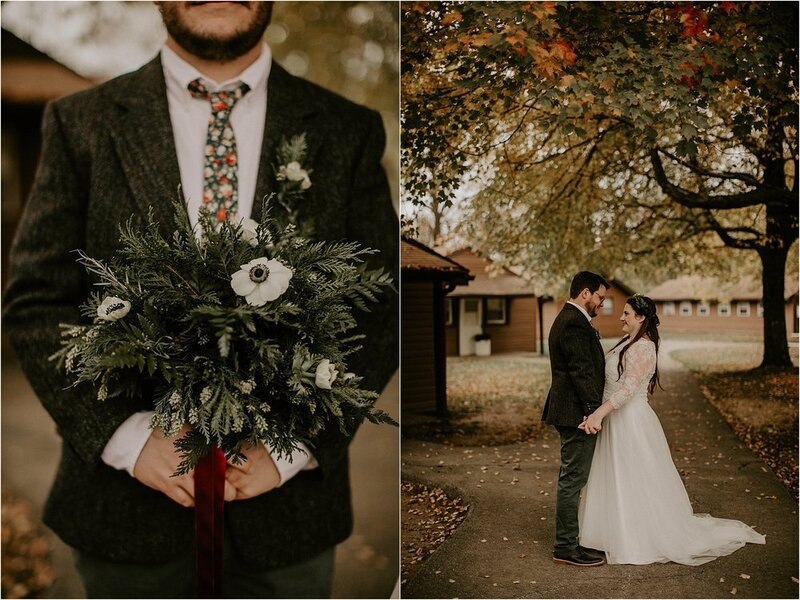 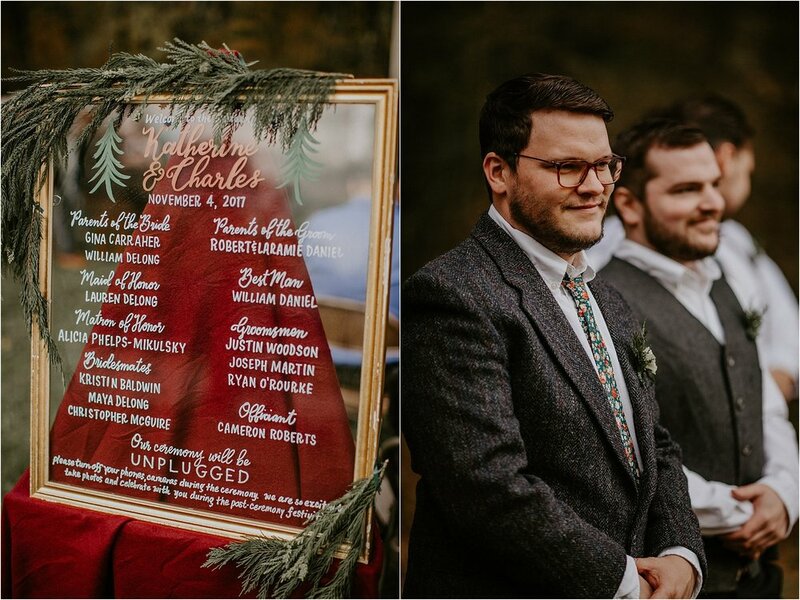 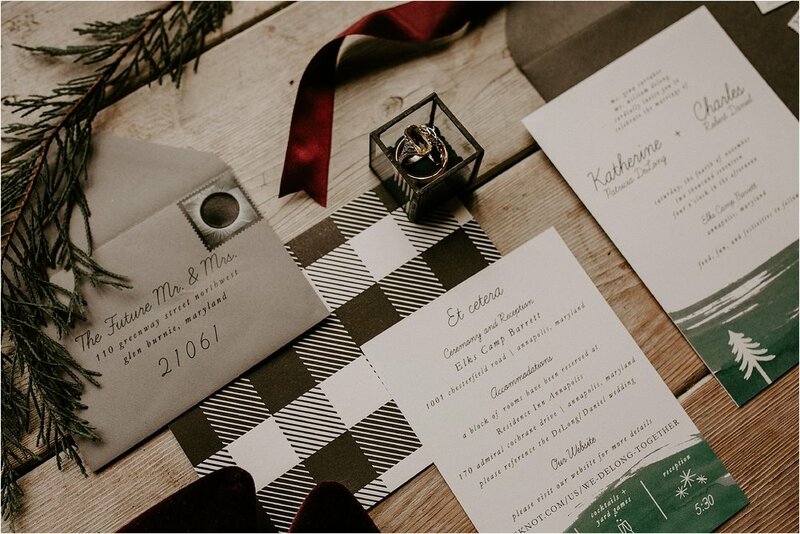 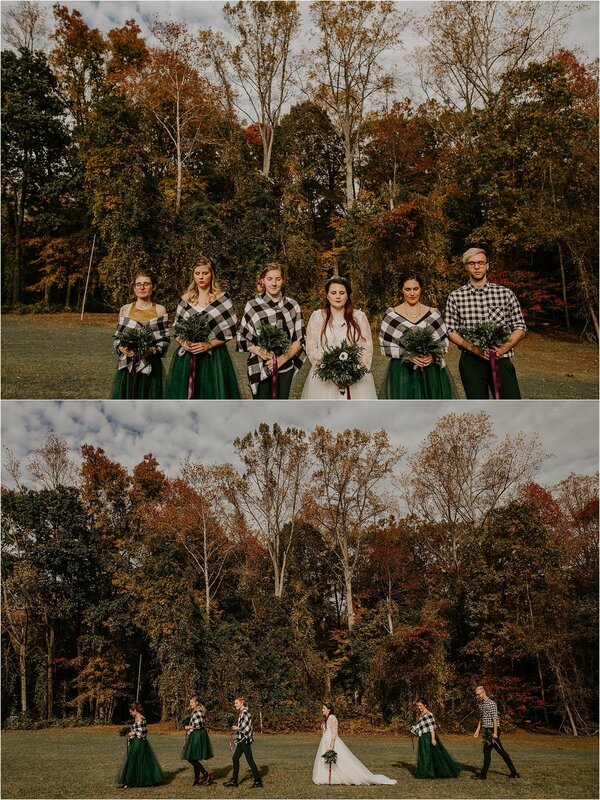 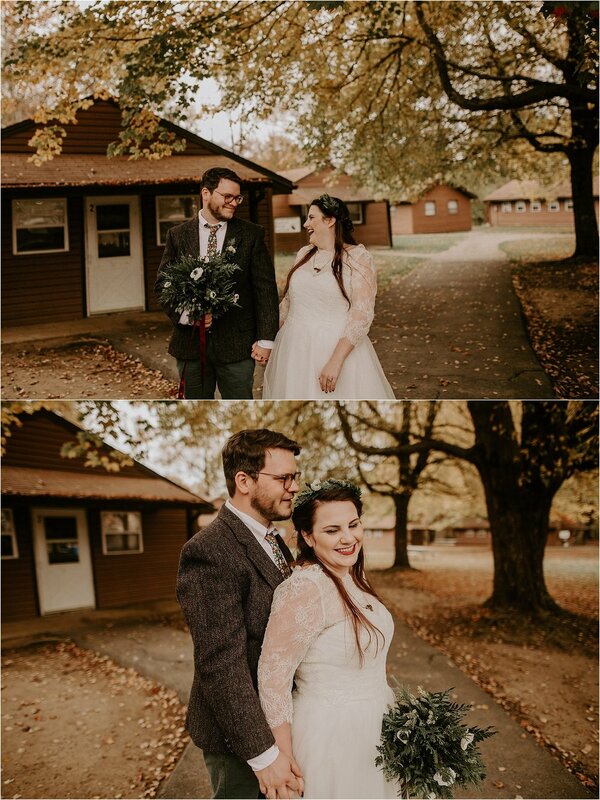 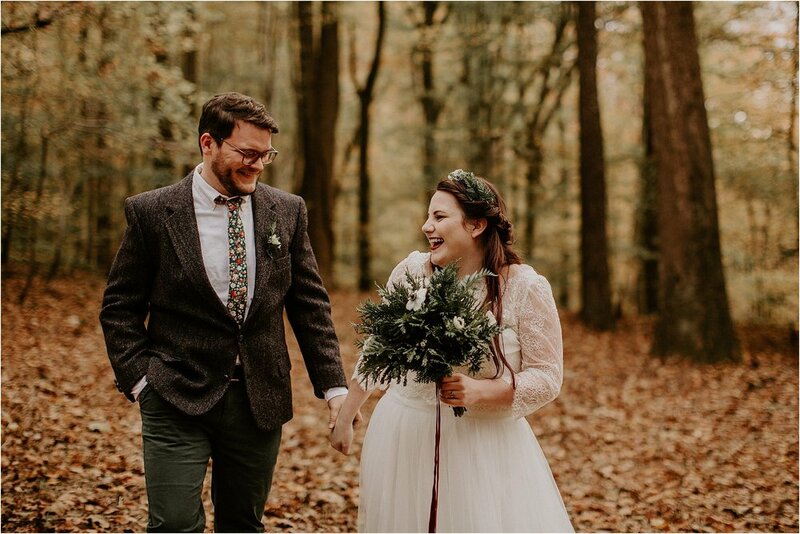 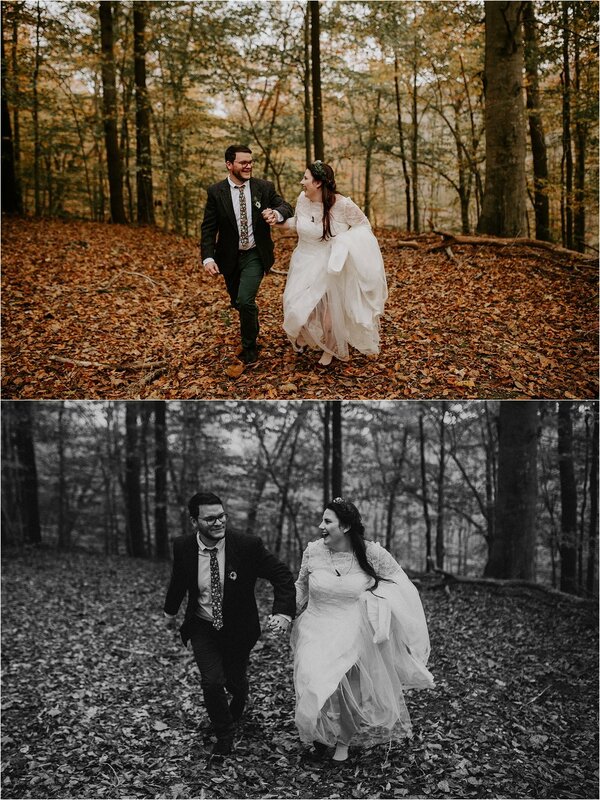 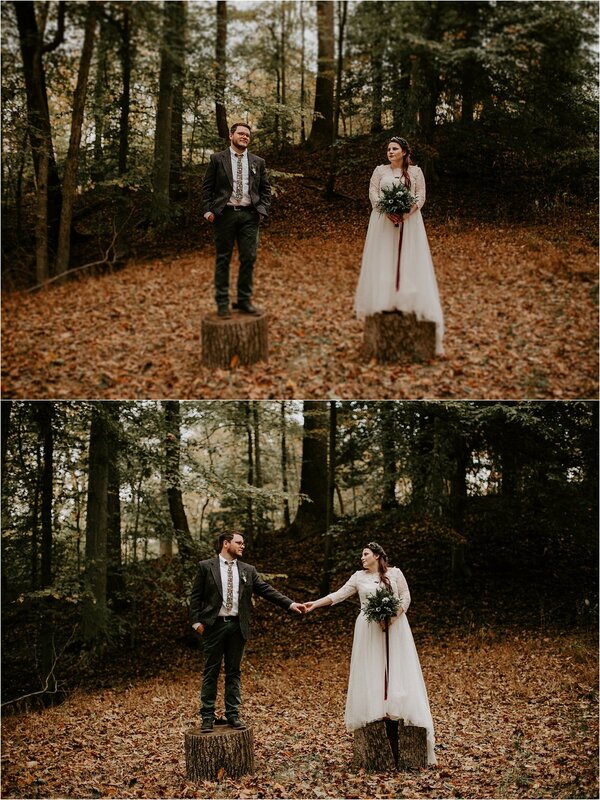 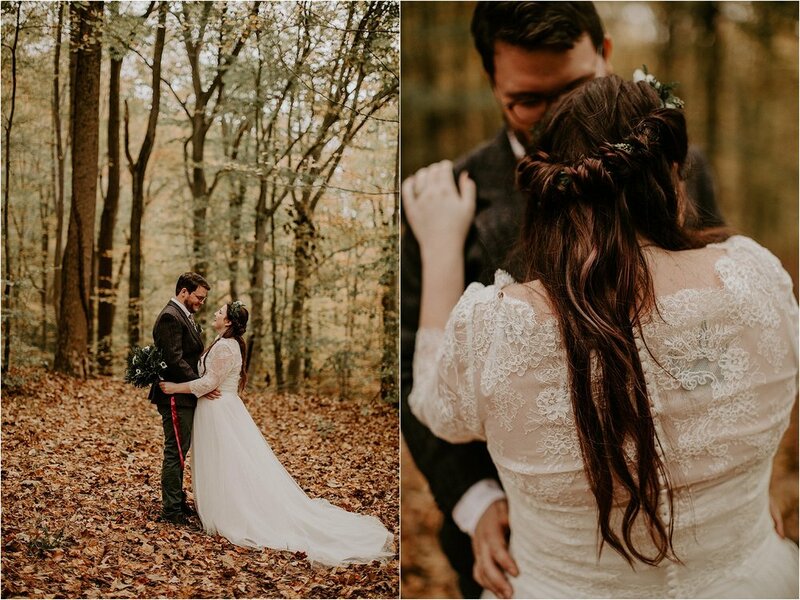 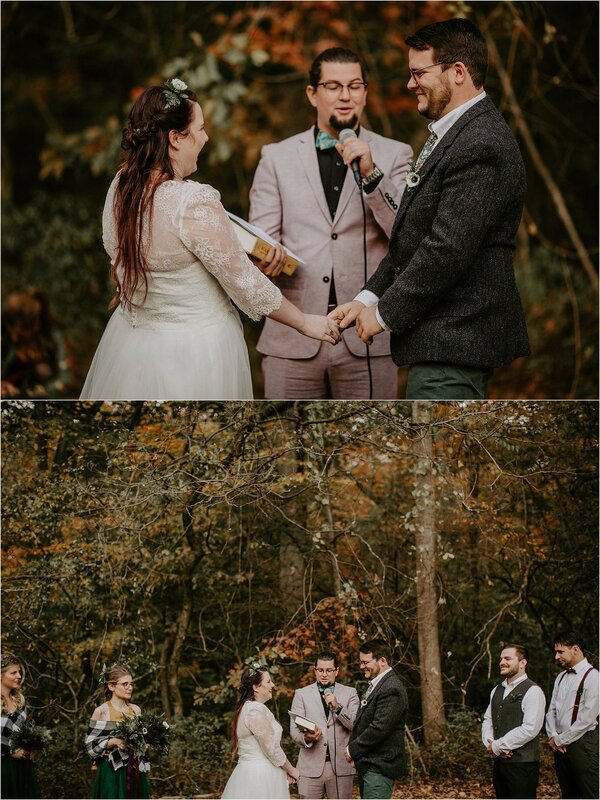 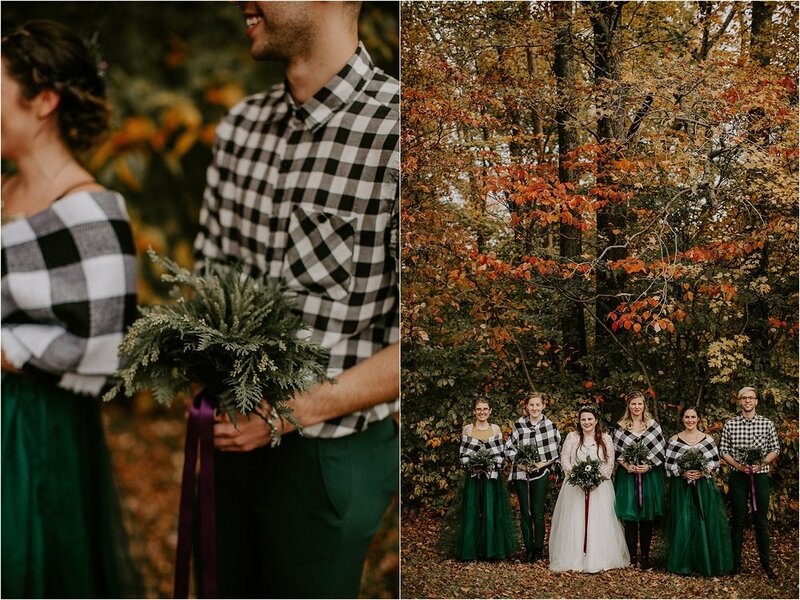 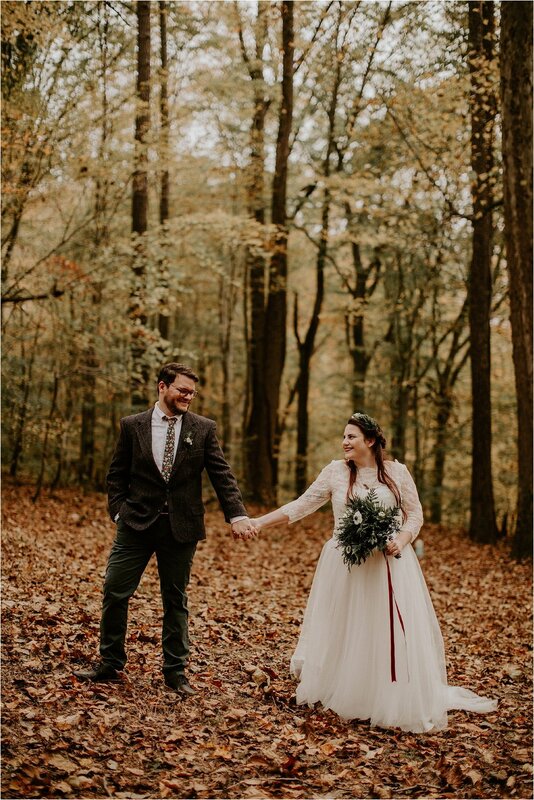 Holy Toledo, Kat and Charlie's November wedding was on the most gorgeous autumn afternoon. 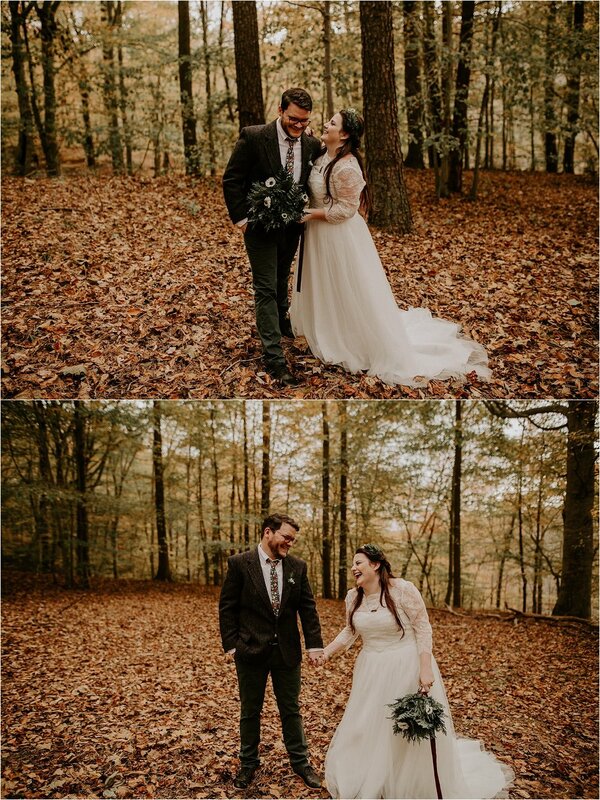 The leaves were bright and the air was crisp. 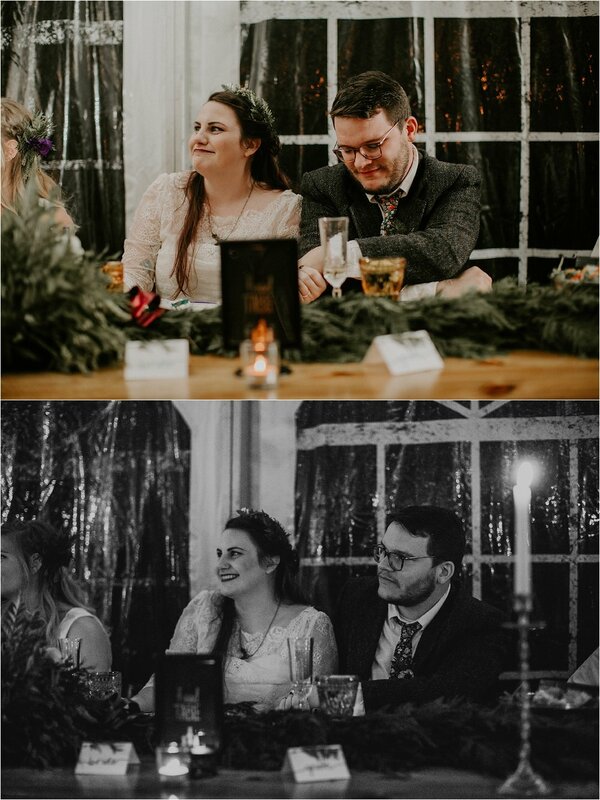 The day was so stylish and so "them." 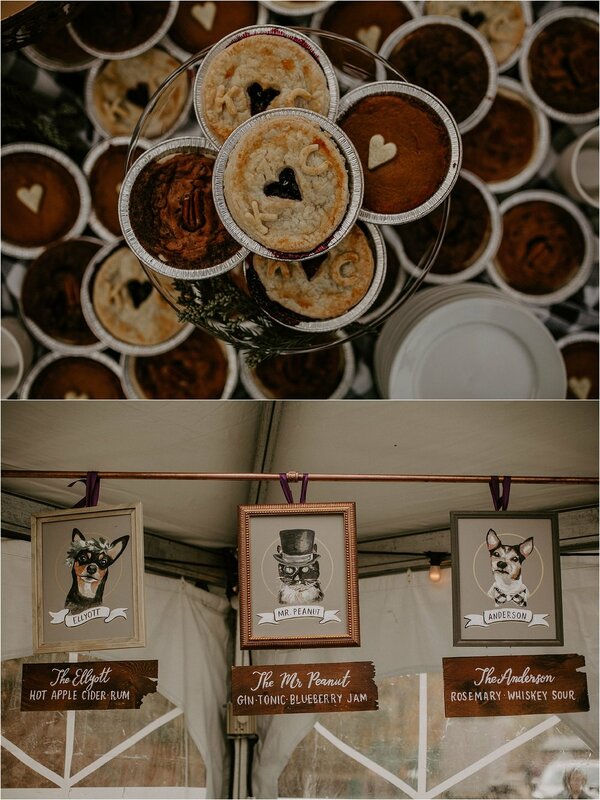 I especially loved the signature drinks named after their dogs and cat accompanied with hand-painted portraits of their pets. 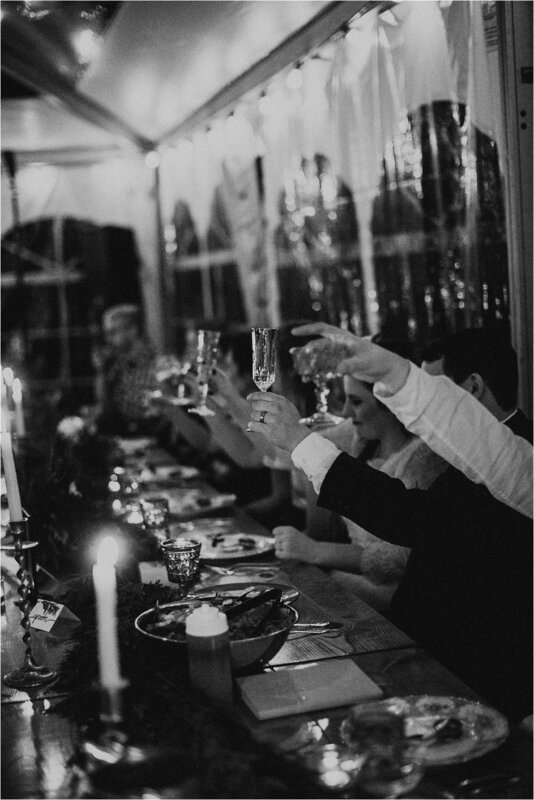 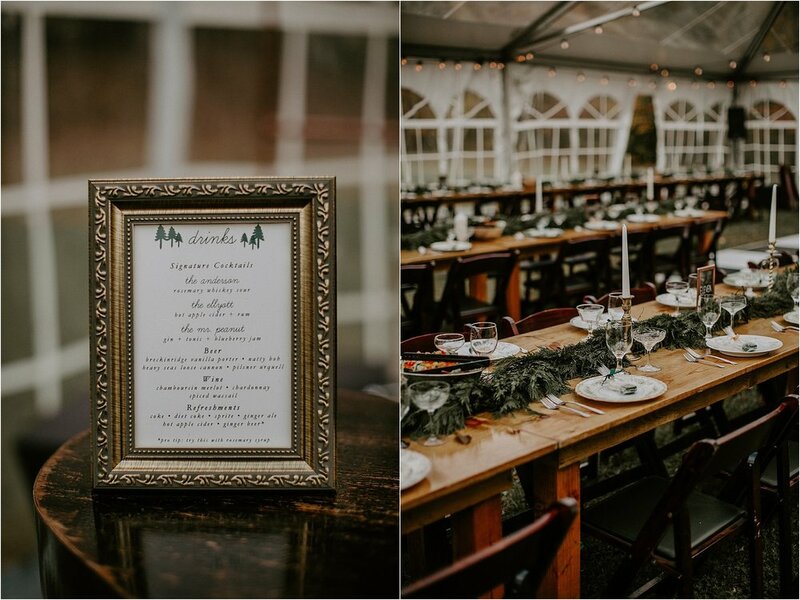 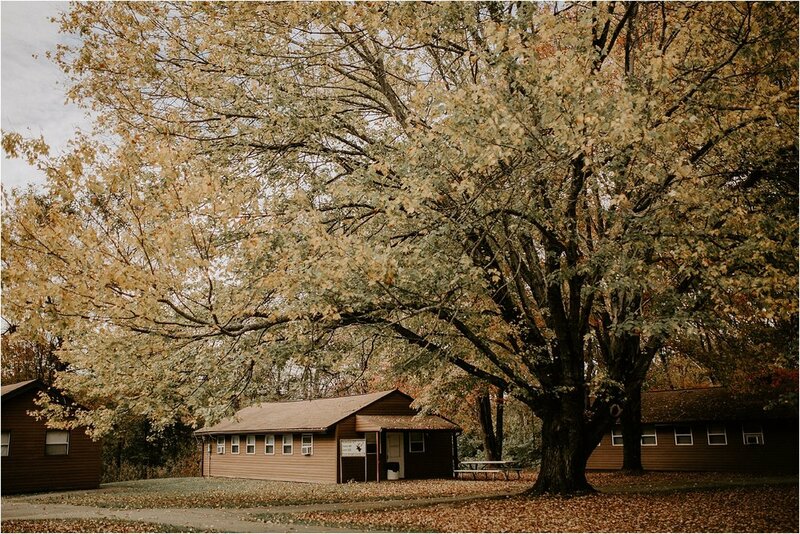 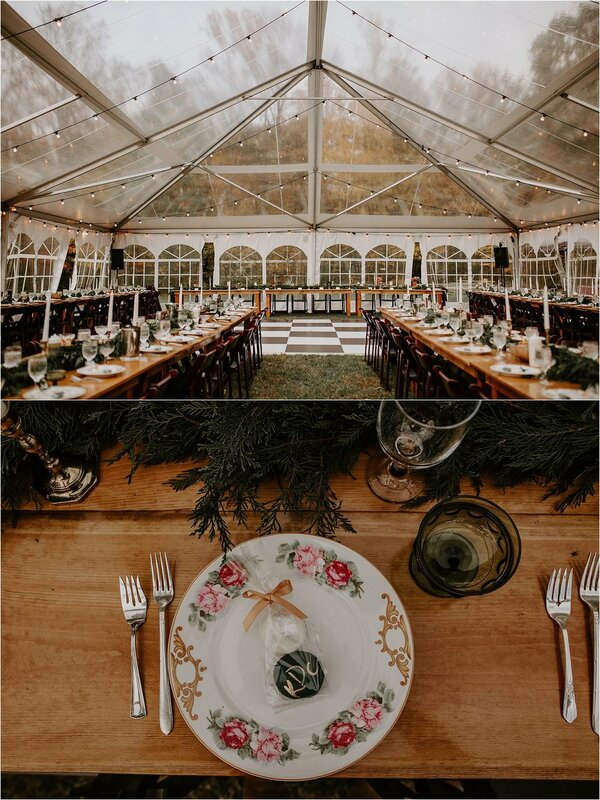 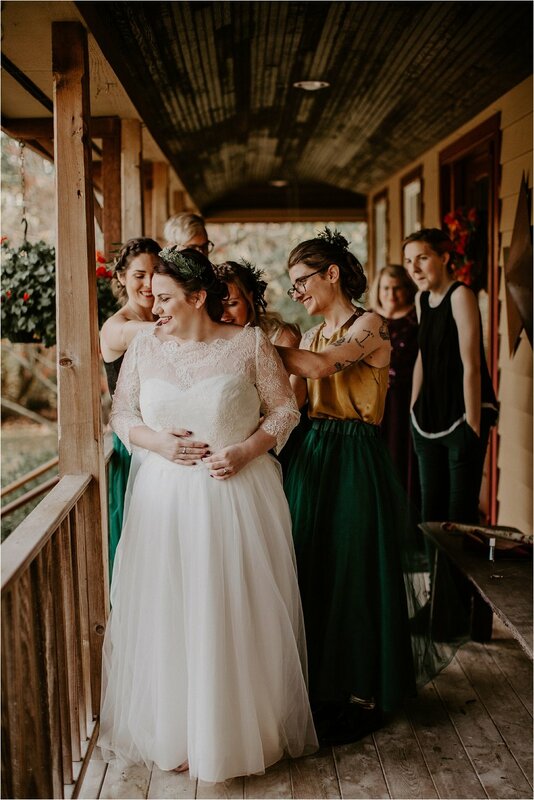 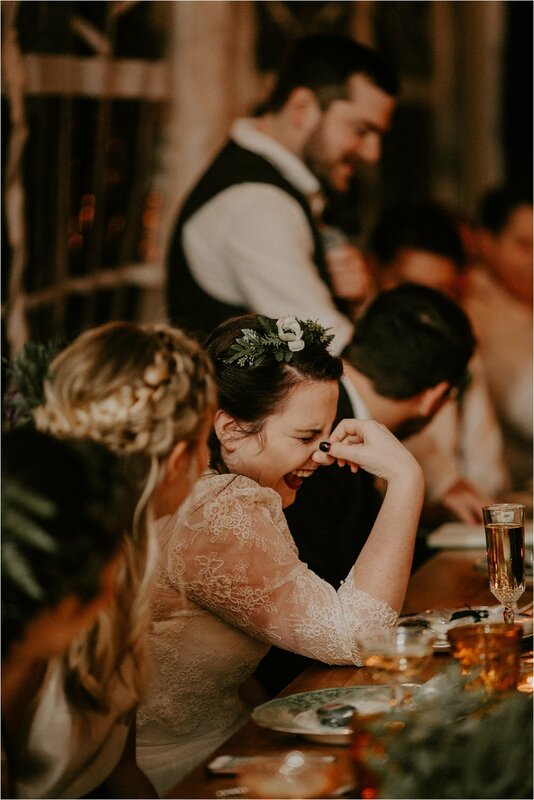 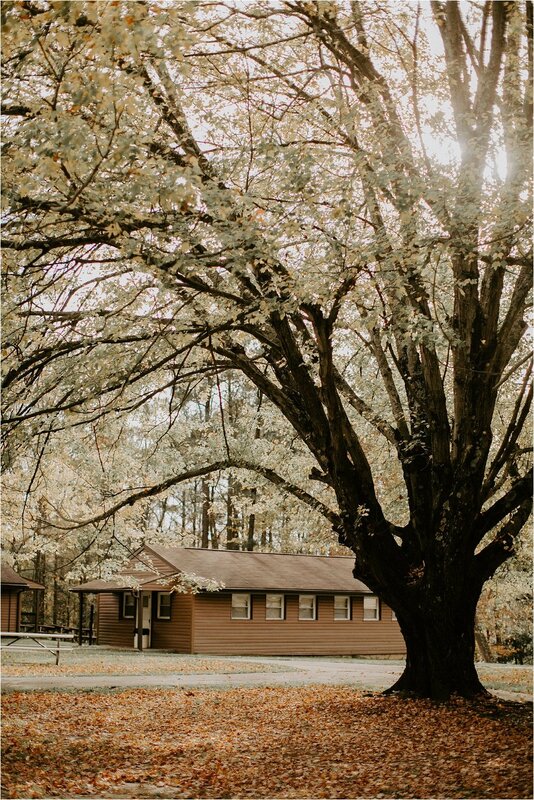 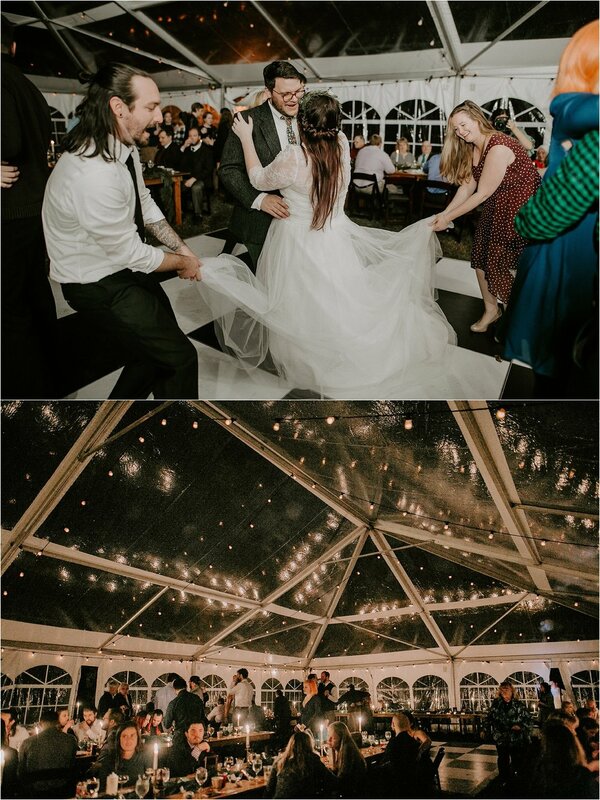 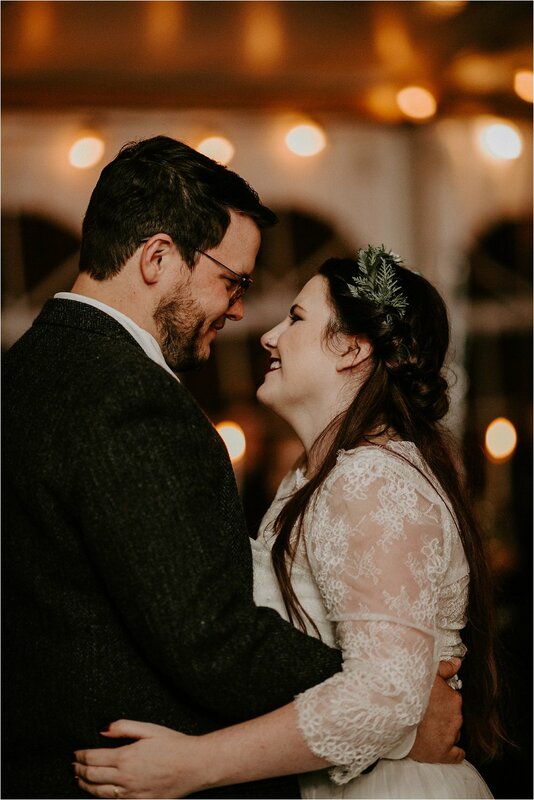 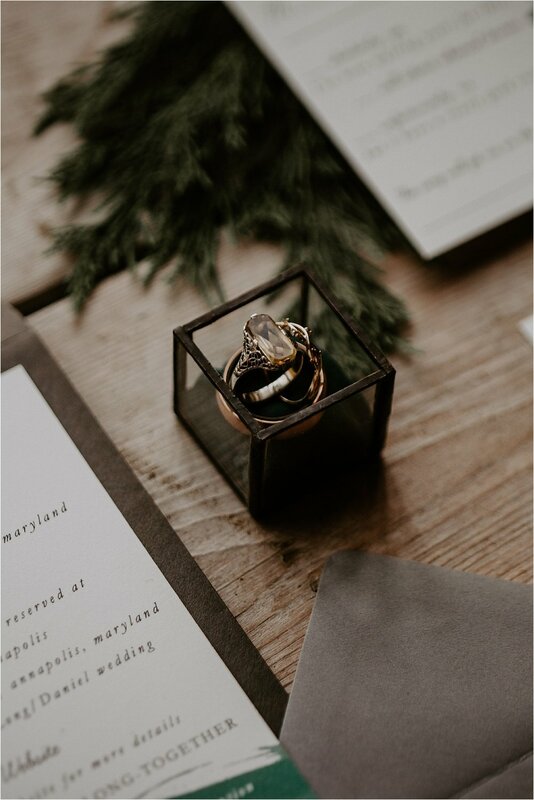 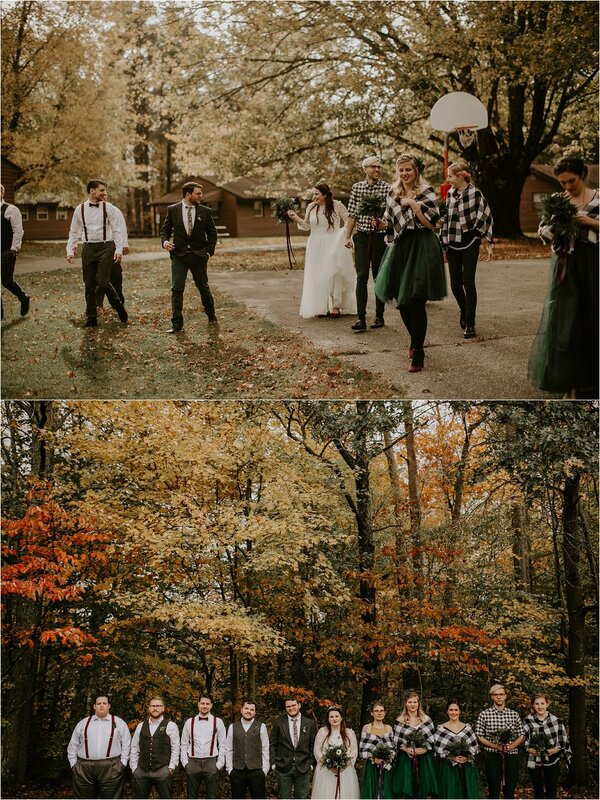 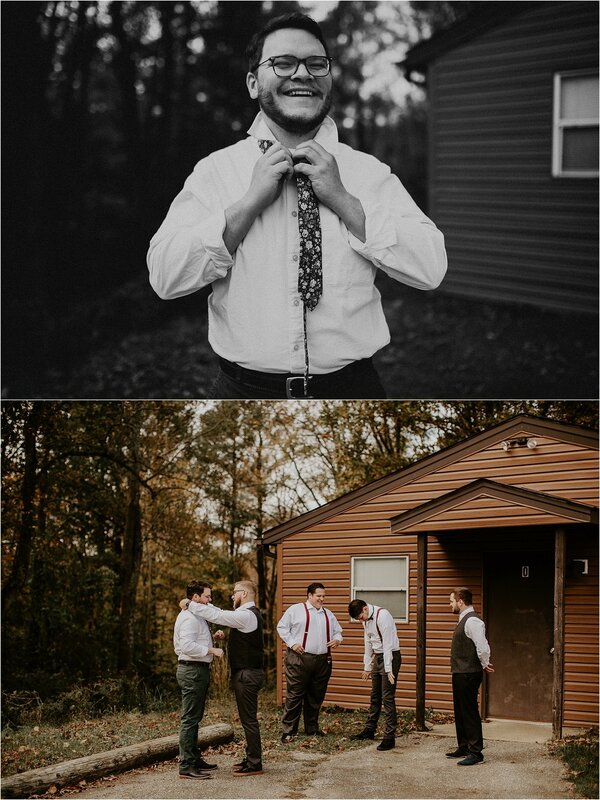 Elks Camp Barrett was the perfect location for their woodsy wedding day that was equally fun as it was heartfelt.